The pineapple room is a small room with a view looking out across the front yard to the Opera House. 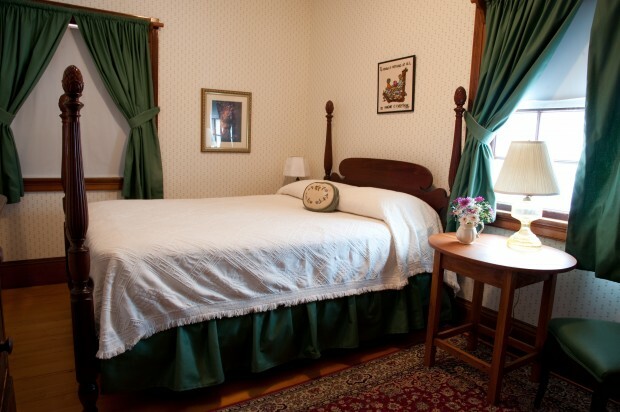 It has one full-sized four-poster bed and shares a close-by bath. It has a CD player/alarm clock and a TV is available for watching movies in the room.